Actually I did not go blog surfing, this came up on my Twitter feed :) Fashioned in Finland is hosting an April giveaway. essence nail art magnet nail polish 02 hex hex! I was out this morning playing with the kitties. Since my sister woke me up suuuuper early I thought I might as well play with the kids. Then I saw this cute little family. Aren't they adorable?? ^^, It's a mama hen with 5 chicks. At least that's how many I could count. She was digging and looking for food while the lil chicks were digging too. Just sharing some pictures because...that's what I do share pictures :P. Sanga is a Japanese restaurant that is located in town, which is next to the Avon store. Although to my unawareness there is also a vegetarian restaurant next to the Avon store =___='' that is really popular that sometimes you can't even get a seat to eat!! And I tell ya, I do love vegetarian restaurants since I can eat whatever I want!! Be it fish, chicken and pork. Yes they have vegetarian meat and pork :P cute eh? It's all tofu!! :D Don't worry when I have time and the place isn't packed!! - I will go there and check out the food. Project 365: #68 We don't cook! When my sister is at work, and my dad is away, my mom, my brother and I usually don't cook. So we eat out. :) Just simple food and no work! XD We like to go to this lil shack/eatery near where we live. It has the biggest glass you will ever find, no restaurant in the city serve their drinks in bigger glasses I tell you. So typical lazy night with my lil family. I don't remember this but I think it was fried noodle. It can't really beat the fried noodle me and CLK had at the other place, but the drinks, this place wins hands down! So today was Earth Hour (March 26) between 830 - 930pm. I was in the dark, with the exception of the fan and my tv. Sorry but I was bored, I did tweet. I did pretty good, the lights were off although the street light wasn't and there was no one home. So I felt like someone was watching me =___=''. I would've taken a few pictures but I was in the dark, you probably couldn't see anything. ;) I did eat some chicken soup with Tabasco sauce and pepper although I think I might've added a tad too much Tabasco sauce because it was super spicy :P Earth hour made my soup hot hot HOTT! So yeah, pretty lonely Earth hour night for me but I kinda enjoyed the serene, quality time I have with myself. :) So what have you got planned for Earth hour? I hope you would take your time with your loved ones or yourself to reflect upon things in the dark. 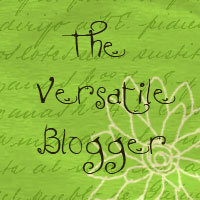 I was blog surfing as usual and I came upon this giveaway on one of the blogs I was reading. It has been awhile since I post any giveaways on my blog so I say why not? That doesn't hurt much :) So here it is! 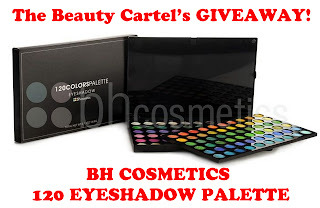 Donna Dell is giving away a 120 palette from BH cosmetics. Excited much? It opens internationally and still running until the 25th March which is also her birthday. :) Click the picture to go to the giveaway. We went to The Club, a lounge and they had a live band there, who happened to be her friends. Great voices I might add. I was skeptical because it was green and there were cucumber in it. It tasted too much of cucumber and a hint of green apple and celery. I wish the green apple taste would over power the cucumber because I hate cucumber!! And this one seriously smelled like cough syrup, err not very pleasant I tell ya. Overall it was a fun night, after getting home that night I got sick - for another 4 days! So...I guess I am a lil upset not much, I am still smiling. I still have friends who loves me and family who loves me and most of all a man that still loves me no matter, sooooo this is just a minor set back. You lose people in life but you gain a lot more. :) Cheers to that. Project 365: #64 Guilty as charged!! So hi, hello there. *waves* I ummm...been neglecting this blog, for a lil bit. 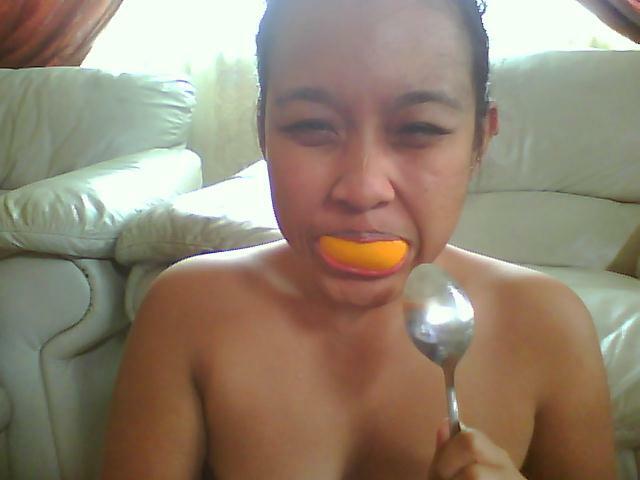 =___='' Dampening the project 365 but not to worry my dears I will have #365 by December 31st no matter what! That's a promise I make...to you. :D I love that song (Dakota Moon - Promise I make). That song is a keeper for you men out there to serenade your lady friend/girlfriend/fiancée/wife. Promise you they will love it! So I have a very good reason to be "absent" from the wonderful world of blogging as of late. Today (Friday morning) was the Youth convention 2011 here and our Jazz orchestra was performing the opening act for it. We had to be there by 7am (like whaaaat?!) and we left early, before the chief minister arrived. Hehehe, no traffic getting out of that place! Although I would have loved to stay and explore what was there to offer but I didn't because my feet was killing me! And I was tired and I wanted some lazy-bed-time-at-home-while-skyping-with-my-man time. :D No worries, I will post pictures...the little that I have anyway. Savage Gardens have a bunch of songs that I love, and cute guys serenading me with songs like these... *sigh* ^^ hehehe. But seriously, who wouldn't want it right? ;) Too bad they are not a group anymore. So...yeah I am guilty...buuuuuuuuuuuuuuuuuuuuuuuuuuuuuuuuttttttttt.. I am gonna leave you with this picture. Look, doesn't my feet look small? :D I have a pretty big feet but I feel much better looking at these pictures. It looks a whole lot smaller!!! ^^ Thank you love for having such a big feet >:D.
Mama, can I haz some food? Now..I would love me some chocolate. More chocolate. :) How is everyone doing after the shocking tsunami and earthquake? I am very thankful that I live where I live. Listening and reading news on the Japan earthquake and tsunami it makes me shudder. I can't imagine all those people losing their home and having to fled to higher grounds, especially from the tsunami. The high waves have no mercy and looking at all the pictures on the web makes me cringe. What would I do in that situation? I would probably be in shock. Devastated, and heartbroken. Those people that lost their lives, I send the deepest condolences to their family. Our country, especially the coastal ares have been issued with tsunami warning since Japan is pretty close to us, and so far everything looked okay. Let's cross our fingers that nothing else is happening in another part of the world. I just wanna say something because I am a wuss and am kinda scared. I hope everyone is safe and warm out there. CLK and I try to stay away from pizza and sushi when it's time to eat. One of the places we tried was Sri Melaka. It's a really nice restaurant that serve authentic Melaka dishes (as they states) which are pretty nice. I don't really know what's authentic but they were good. :D I was craving tom yam (which is a Thai dish) and they had that on the menu. CLK ordered a salted fish fried rice. They fried the fried salted fish in the rice. He said it was a tad too salty once you get going...well there are pieces of salted fish in the rice. It is actually very nice. *sigh* Don't we both look happy? LOL We just got over a lil argument and I was trying to 'stay in the moment' and not to act all I-don't-want-to-talk-to-you-now and he has his I-am-a-lil-frustrated-with-you face. At least we made up after we ate. Then for dessert we got gelato although this is not the best gelato I had. I wish we got the chance to try more gelato...it just slipped our minds. :D And I wanted crepes!! =____='' What's your favorite desserts? Ok I am gonna take a break from P365. It is actually killing me to think I am back dating stuff =___=''. I just need a breather. :) So I am gonna whine...a lil. So what gets you sitting in front of the tube? Any recommendations? Project 365: #60 Can I follow you? I wish I could stuff you in my suitcase and take you home. I know that's what you wanted since you keep giving me hints when you keep on sitting on the suitcase even after we tried to keep you off. I promise I will come back and catnapped you when your human looks the other way. So in realizing I am behind...way behind...I am going to post pictures of food. :D Aww come on, everyone love food pictures :P Hehehe..I am still wondering why this isn't a food blog. :P So here goes. We went to this pretty cute restaurant, Delicious. The food was pretty delicious not OMFGdelicious!!! :P They did have 'seriously-good-cheeseburger' or something that CLK ordered. I totally forgot the actual name of it but they guarantee the cheeseburger was delicious...and it was pretty decent. Then we went bowling. Well we went bowling after we played a game of pool. It was my first time and it did not go good. :P But I had fun and well I need practice. I really want a pool table now, like seriously. Babe, get a pool table please. Thank you. The last time I bowled was when I was 11 years old like eons ago!! So this was the first time I have bowled in more than 10 years!! =___= And I sucked! XD I need more bowling time. More bowling please!! Project 365: #54 I found a Peanut!